Most Read Article OF 2017: Heels Or Toes: What Is The Best Way To Run? I was THAT kid in high school. I could run a 4:30 mile, I was pretty good at soccer too. But I was THAT kid for one reason… I admit it -- I was a TOE-RUNNER (cue the horror music!). Teammates laughed and coaches tried to change me. Years later, I'm still a toe runner, although the world of running has changed. With the minimalist running push the last few years, running on your toes (or "forefoot" running) has become popular. But does it make you faster? Injury free? More effiecient? Let's take a look. Here's the basics. About 80% of runners strike the ground with their heel first, termed "rearfoot running". Another 15% of runners strike the ground with their foot flat, termed "midfoot running". That leaves a very small group of "forefoot runners", who run on the balls of their feet. The reality is almost everyone sprints on their forefoot. It is biomechanically faster, though requiring greater calf and leg strength to maintain. It is also true that when we run barefoot, almost everyone again runs on their toes or forefoot. 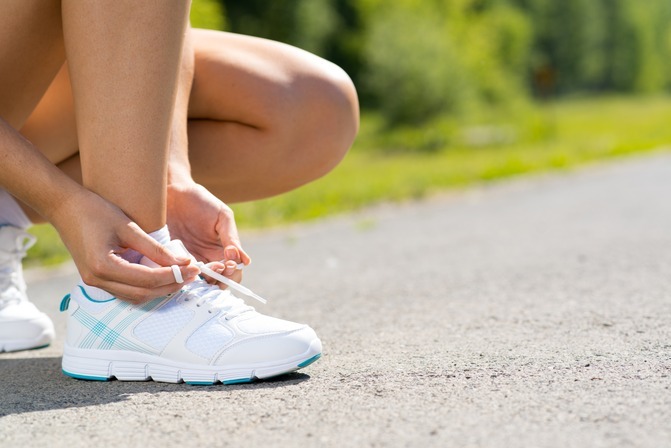 Recently, the thinking has become that perhaps forefoot running is more natural and modern-day shoes and concrete running have only turned us all into injury-prone, rearfoot runners. "Pose techinique", "ChiRunning" and Newton running shoes have only fueled this thinking. Although, most recreational runners are rearfoot strikers, most studies have found the majority of elite distance runners are forefoot or midfoot strikers (Hasegawa et al 2007). Is it genetics? Is it just that they run faster? Are they more efficient? Well, yes, yes and yes. Muscle strength and structure is probably a factor as is running speed and just pure athleticism. It is hard to ignore that the countries of the world that produce the best distance runners (i.e Kenya) also have a high percentage of barefoot running. During a marathon, fatigue causes the majority of forefoot runners to become midfoot or rearfoot runners (Larsen et al. 2012). In other words, the vast majority of us land on our heels as we get tired. Some researchers claim that this shows that heel running is actually more efficient (easier) and less tiring (Williams & Cavanagh, 1987). Others claim, that easier form doesn't mean better form. There is no evidence that rearfoot runners are injured more or less often than forefoot or midfoot runners. Actually, studies find higher injury rates when a forefoot runner is asked to land on their heels, and vice versa. There is no evidence that minimalist running shoes (i.e. Vibram Five Fingers or Brooks) help prevent injuries more than normal running shoes. The fact is, despite our advances in shoe design and safety, running injury rates have changed little in the last 30 years. In other words, $150 shoes are not the answer! Both types of running cause impact forces on the body, thus potential injury. Rearfoot running is associated with greater immediate impact forces upon striking the ground, particularly around the ankle, However, some studies have found forefoot running may actually produces greater forces up the lower leg. It is true elite runners tend to be forefoot strikers. So, if you are reading this and can run under a 16min 5k (guys) or 20min 5k (girls), beginning the process of gradually converting to a midfoot or forefoot strike may be advisable. But, if that's not you, think seriously before making a change. If you are a forefoot runner and it is working, stay that way. If you are a rearfoot runner and it is working, stay that way. If you are going to switch, take time. World class runners are not efficient, because they run on their forefoot; they run on their forefoot, because they are efficient. 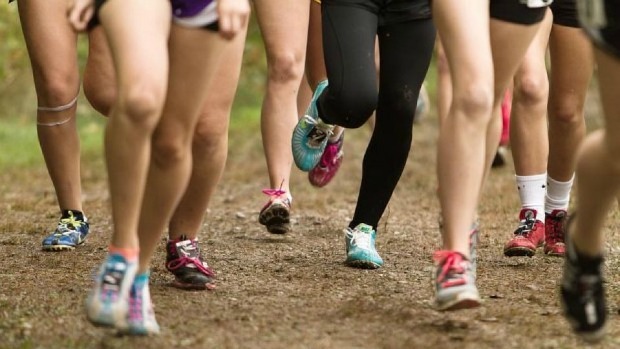 Shoes or lack of shoes will not suddenly make you faster. If you lack the strength, biomechanical efficiency, and conditioning to develop a forefoot strike pattern then the shoe cannot instantly do it for you. Until next week, run well and run fast… and stay on your toes (or heels)!